60 years ago Mr. Potato Head was the first ever toy to be marketed on television to children instead of their parents. It was a revolutionary idea at the time. The original Mr. 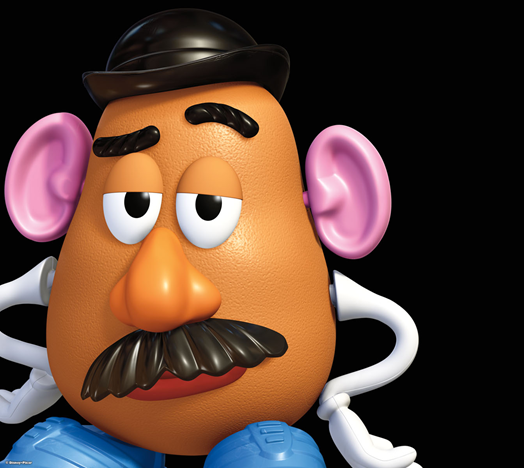 Potato head did not have a potato body – kids were to use a real potato. The potato body didn’t come until a decade later. In the wake of anti-smoking campaigns the pipe was dropped from Mr. Potato Head toy sets in 1986. Advertizing toys to kids has become widespread and this has led to complaints from parents that toy manufacturers rely on “pester power” or the “nag factor” where adverts try to convince children to nag their parents for the things they see on television. The toy makers say that they act responsibly, especially since their most effective ads draw children into a fantasy world, rather than those that get children to nag their parents. To read more about the advertizement that depicted cartoon characters being led to a butcher’s shop, what the Mothers’ Union has to say about it, when Mr. Potato Head found Mrs. Potato Head, how effective the advertising campaign was, and the person who invented the toy, click here. Dictators: A Successful American Export?